Samba no Pé - Learn Portuguese and discover Rio de Janeiro – RioLIVE! Samba is recognized around the world as a symbol of Brazil. 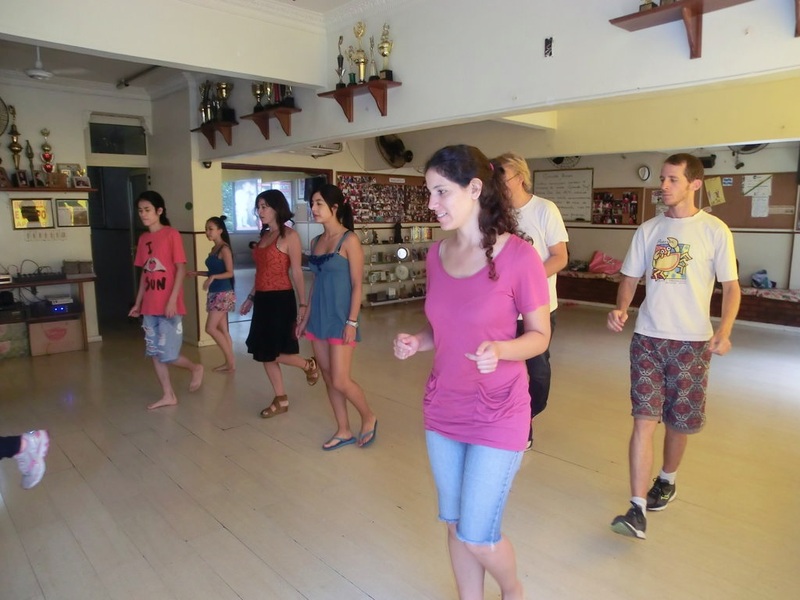 And yesterday our Portuguese students from Japan, Israel, Spain, Colombia and Germany could feel the rhythm of this dance with a Carioca Samba dancer who tought them how to ‘sambar’ from the most basic steps. As usual at the beginning is not easy to follow the rhythm of the percussion but in a while, step by step our students could follow the beat of music. And they finished the Samba class dancing and singing, the famous song of “Explode Coração”, from “Salgueiro Samba School”. Next post What is Guaraná?